Claim To Fame: Known for his role in the 1979 film Kramer vs. Kramer. Family Life: No info found. Info: Following Kramer vs. Kramer, Henry's next big role was in the 1984 film Sixteen Candles, playing the younger brother of Molly Ringwald's character. 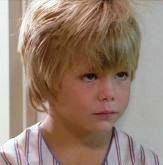 He later played the son of a married couple played by Don Johnson and Susan Sarandon in the 1988 film Sweet Hearts Dance. Henry left acting for awhile to earn a B.A. in psychology from Skidmore College in 1993. He next appeared on-screen in 1997, as a medical student in a two-episode role during the fourth season of ER. He also starred opposite Ally Sheedy and Brian O'Halloran in the mockumentary The Junior Defenders, which was filmed that same year but released direct-to-video in 2007. 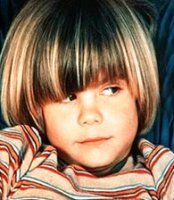 Trivia: Was nominated for an Academy Award for Best Supporting Actor for his role in Kramer vs. Kramer, making him the youngest actor to ever be nominated. "Discovered" by his neighbor, who happened to be a casting director, and won the role of the young boy in Kramer vs. Kramer (1979) with no prior acting experience. Co-founded the Slamdunk Film Festival in 1998. Where Are They Now: Henry has mostly retired from the acting scene, only making occasional appearances in film and television. Since 2000, he has worked as a digital media business professional. This year, he became the Regional Director of Sales at Veoh, a San Diego, California-based company which runs an Internet Television service.